providing custom-built computing platforms and networking for select customers. Don Hunt, TSgt USAF Retired; PMEL Technician, Instructor, Course Developer, writer, 14 years. Provided proofreading with re-write and page troubleshooting/debugging services. SMSgt Brian M. Johnson, USAF Retired, who prepared the “History of the Metrology Training Division” document from which we’ve extracted and used much supportive narration for this website’s content. 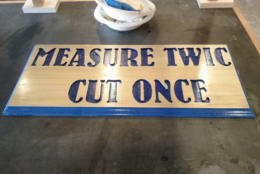 Timothy M. Sheldon, MSgt USAF; Flight Chief, Metrology Training Flight, 332 TRS/UNC, 613 Hangar Rd Ste. 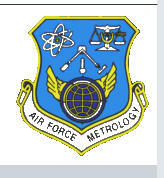 156, Keesler AFB MS; provided insight regarding the establishment of Metrology Training at Keesler AFB, Mississippi as of 2 January 2012. Paul Courchene; Providing contact information with and information from SMSgt. Sheldon. Our extreme thanks and gratitude goes to Maggie Rash who, collaborating with George Blood, worked tirelessly to continue the annual PMEL Picnic and Reunion traditions so many active and retired, in and out of state, PMEL technicians have enjoyed over the years. When budgets were tight and/or locations elsewhere were not available, Maggie and Tim Rash were kind enough to offer their home as the location for many annual PMEL picnics over the years! Our thanks and appreciation also goes out to Steve Moore, Mike Cross, George Blood, George Smith, Jim Lillard, Bob Renner, Frank Bandy and others who’ve provided photos of these various PMEL events. We wish to also thank Dave Akers who, mostly behind the scenes, provided many door prizes and gifts…from the annual presentation of THE Rolex watch to Belgian Chocolates…at each of our winter PMEL reunions! organization charts! We all knew who REALLY ran the school!